If you are interested to apply for a position, we welcome you to send your cover letter and resume to the attention of our HR Department at resume@cme-mec.ca. Due to volume, only those shortlisted will be contacted regarding the position. The successful candidate will be responsible for executing and coordinating CME Women in Manufacturing (“WIM”) initiatives and related events in Alberta. In addition, they will be responsible to provide administrative support of the same. The Events & Member Engagement Coordinator will work alongside the Alberta DVP, as well as liaise with the WIM Coordinator and the Director of Partnerships & Stakeholder Relations, to improve member engagement with the WIM program and initiatives in the Alberta Division. 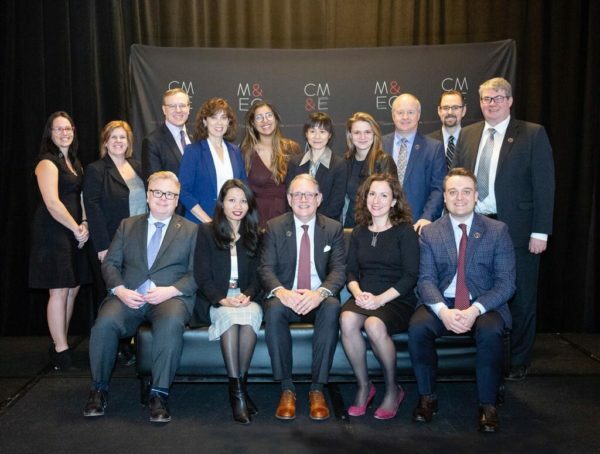 CME staff at the Annual AGM & Manufacturing Conference held November 7, 2018 in Ottawa, ON.